The Italian division of pinballbayarea.com turned up this little ditty. Quite charming. 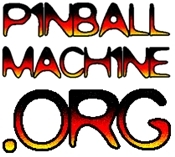 ← Announce: Pinball Tournament at Hi-Life Pizza 12-29!